This spring we published an exciting new search-and-find book by William Bee, called Migloo's Day. 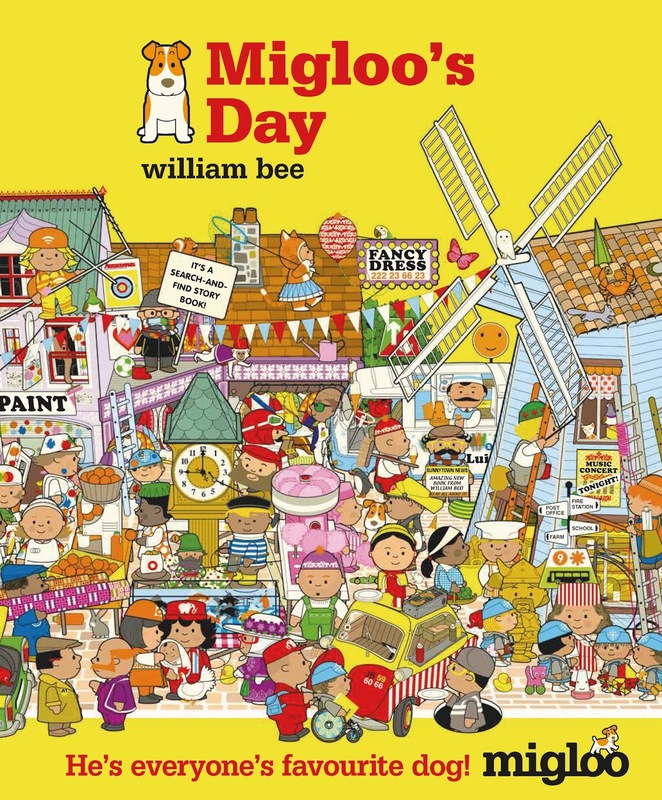 This is the story of a day in the life of Migloo, a loveable little dog about town who enjoys discovering the sights and smells of Sunnytown, and bumping into all his friends. 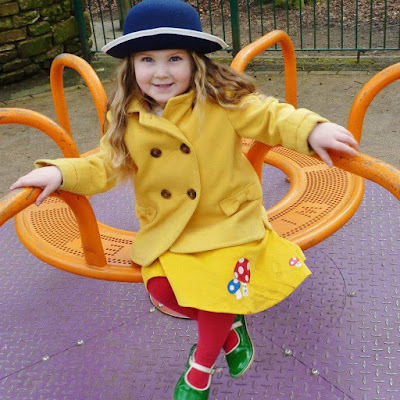 William Bee (both the author and an actual character in the book) keeps his readers very busy, quizzing them throughout and leading them around the scenes – can you spot a missing shoe? Where is Little Mouse? We partnered up with our friends at Junior Magazine, offering one lucky child the exciting and very special prize of being drawn in the style of Migloo and his friends. The lucky winner was Emily, pictured below! William set to work and created the fantastic illustration pictured below, of Emily surrounded by the residents of Sunnytown. And here is Emily with her prize! 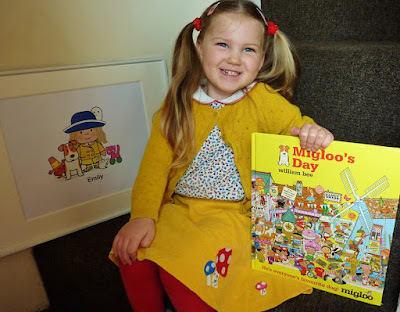 If you'd like to learn more about Migloo and his friends, do visit the Migloo website where you can get a sneak peak and find some fun activity sheets.